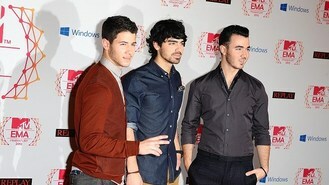 Brothers Joe, Kevin and Nick were scheduled to begin their 19-date tour Friday in Pennsylvania. Spokesman Jesse Derris confirmed the cancellation and said fans can get a refund at the point of purchase. The group tweeted about the tour as recently as Tuesday, posting a picture of a poster for the Pennsylvania stop. The trio shot to fame in 2007 with the release of their self-titled debut. They were one of pop music's biggest successes with TV shows and a Grammy nomination. They had been scheduled to release their first album since 2009 soon, but the future of that project is unclear.